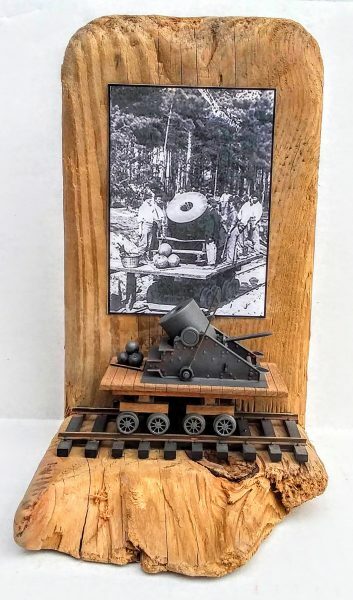 American Civil War Railroad Display_13″ Mortar “Dictator” on Flat Car with “The Siege of Petersburg, VA • 1864” period photo. 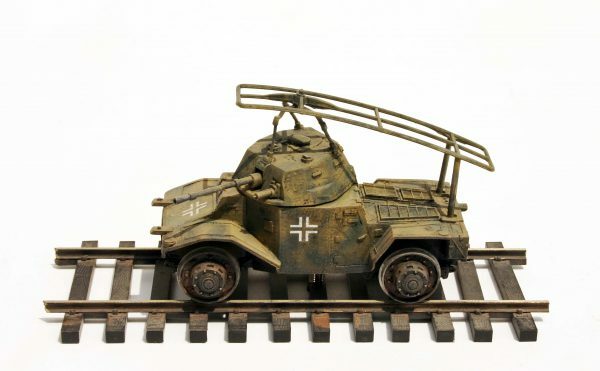 American Civil War “General” Locomotive-Tender & Freight Car Set with plexiglas display case & track section_Operates on 3-Rail “O”Gauge track. 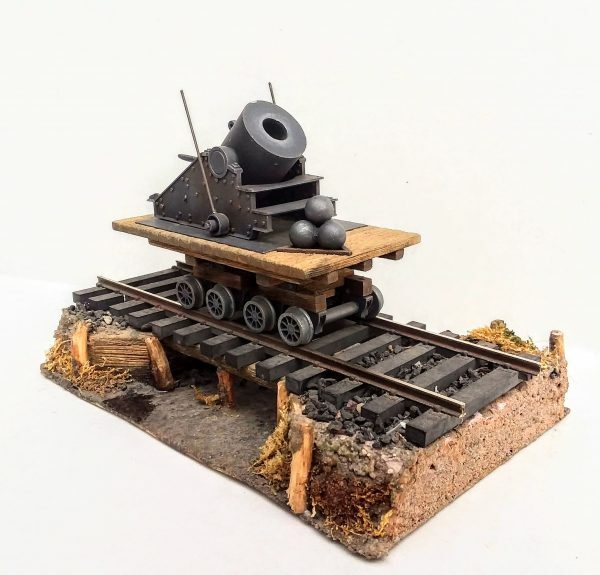 Custom Finished by Modelcrafters.